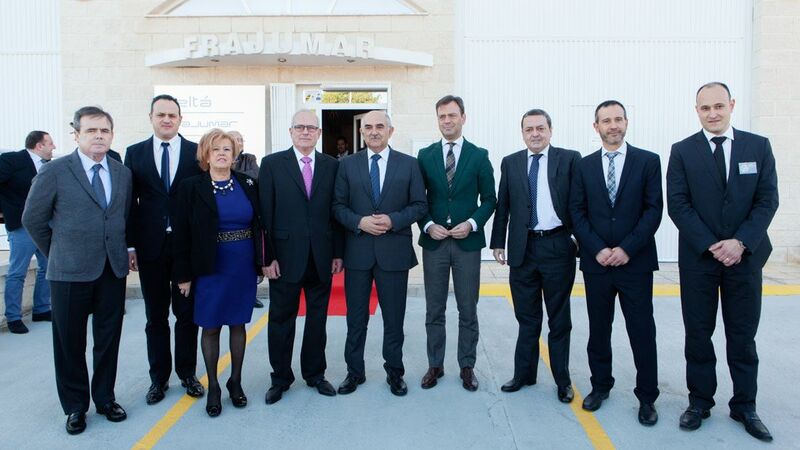 The President of the Region of Murcia, Mr Alberto Garre and the Mayor of Yecla, Mr Marcos Ortuño have today presided the inauguration of the showroom of Yecla`s company Belta & Frajumar. 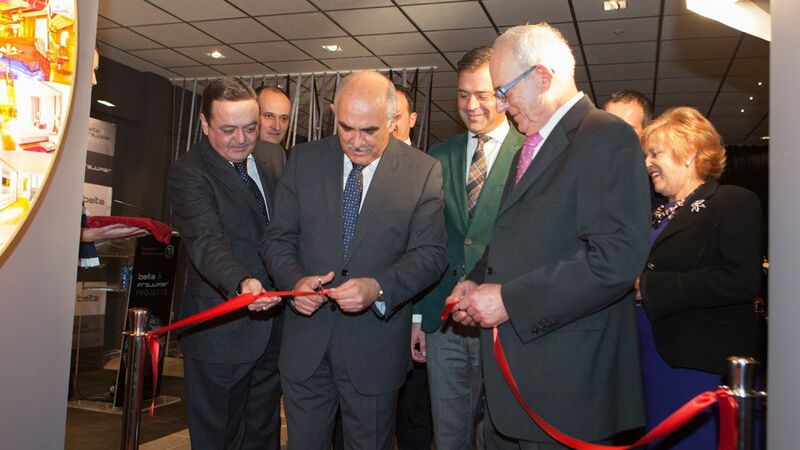 The event took place at the premises of the company also celebrating its 50th anniversary. This event has gathered more than 100 guests. Representatives of the industrial grid of the Region and first level artists as Rafael Canogar and Rafael Rivera have not missed an event that puts Beltá and Frajumar at the forefront of the furniture industry. Both Alberto Garre and Marcos Ortuño have highlighted the example of this family business and underlined its commitment to innovation, design and internationalization. During the inauguration of this large exhibition space, the company has been handed with ISO 14001 certification, an endorsement certifying the Belta & Frajumar commitment with the environment. 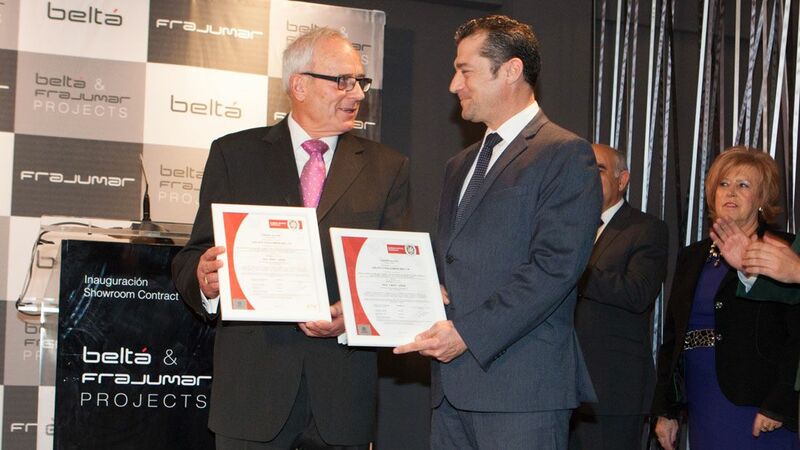 Roberto Becerra del Cosso, regional manager of Bureau Veritas was commissioned to deliver this certification. Inmaculada Hérnandez, the Yecla Furniture Fair manager, valued the efforts of Belta & Frajumar ‘differentiating themselves from their competitors by offering a quality product. 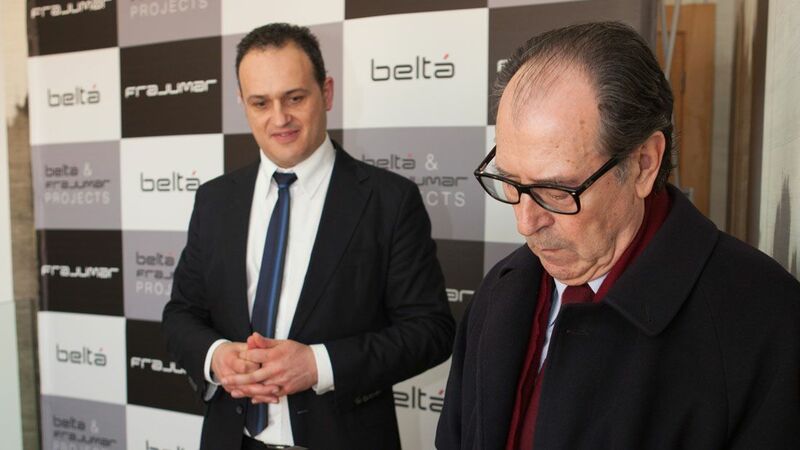 José Blasco, President of Federmueble and “Feria de Valencia” has stressed the firm commitment in innovation and design of this Yecla’s company, ‘the only way to break into a global market’. This brand new Showroom has also attracted interest from prominent artists who collaborate in this project letting some of their works. For Rafael Canogar, whose paintings are exhibited in museums like New York’s MOMA or Reina Sofia Museum, the ornamental or decorative aspect of art has a positive effect by approaching the painting to different audiences than a museum. Along the same lines, Rafael Rivera notes that ‘the struggle between the art and decoration or design was something particular of the avant-garde of the early twentieth century’. This exhibition space of 1200 sqm is the first in Spain designed to meet the demands of the hospitality industry. In this spectacular facility, visitors are taken to a tour of the various spaces of a hotel, from the common areas to the most luxurious rooms. 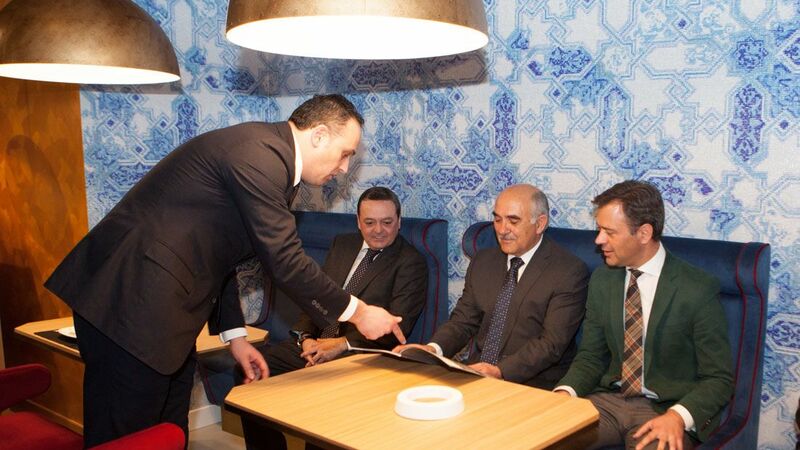 Beltá and Frajumar already has an extensive experience providing turnkey solutions for hotels around the world. With this new showroom, the firm from Yecla aims to consolidate in this exciting market.